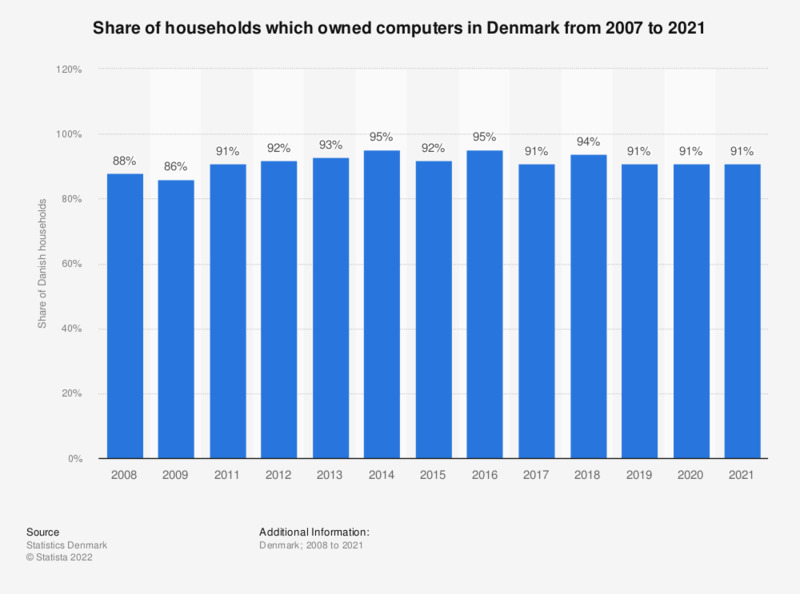 The statistic shows the share of Danish households which owned computers in Denmark from 2008 to 2018. The ownership rate grew by six percent from 2008, with 88 percent of the households possessing a computer, to 2018, when 94 percent or the households had a computer. The highest share was reached in 2014 and 2016, when 95 percent of the Danish households owned a PC. The observation for 2010 is missing or falls under the limit of discretion/uncertainty.